Malaysia yesterday installed the Sultan of Pahang, Sultan Abdullah Ri’ayatuddin, as the country’s new King after the last monarch abdicated in a historic first following his reported marriage to a Russian former beauty queen. 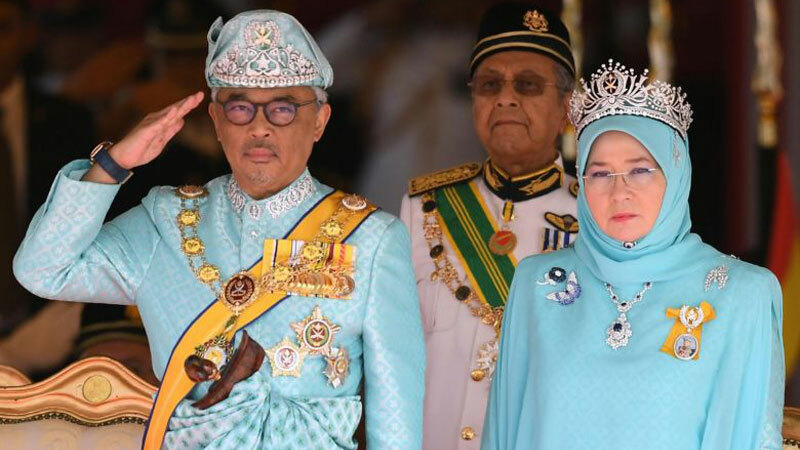 In a ceremony steeped in pomp and centuries of tradition, the sports-loving sultan, dressed in aqua blue formal wear, took the oath of office at the national palace in Kuala Lumpur. The ceremony was televised nationally and attended by Prime Minister Mahathir Mohamad and hundreds of guests decked out in Islamic finery.